KONSTELLATION is the blockchain division of DarcMatter, a global award winning platform for alternative investments. Formerly referred to as DMC (DarcMatter), the new blockchain division, Konstellation, leads all blockchain initiatives and development for the Konstellation Network and the DARC token economy. Konstellation’s core services include, “Blockchain Consulting & Education,” “Blockchain Technology Development,” and the “Konstellation Network.” Our mission is to remove opacity and inefficiencies from the global alternative investment industry via blockchain solutions. The Konstellation Network will continue to attract leading global financial firms and industry leaders as node operators, service providers, and users. Our network incubates a global ecosystem of technology providers and professionals to enhance the usefulness and usage of blockchain technology throughout global financial services. to increase transparency and access within the alternatives industry. Established in 2014, DM’s platform connects Fund Managers (GPs) actively raising capital with Investors (LPs) globally, to seamlessly connect, access fund documentation, and invest in a curated set of Hedge Funds, Private Equity, and Venture Capital funds efficiently online. Additionally, DarcMatter is leveraging blockchain technology to continue to accelerate further efficiencies in the asset management marketplace, through the company’s blockchain development division, Konstellation. DarcMatter is the winner of the “Retail Investment Innovation Award” in the 2018 FinTech Breakthrough Awards program and a 2018 Stevie’s Award for “Company of the Year in Banking and Financial Services.” Headquartered in New York City, DM also has offices in Shanghai, Hong Kong, and Seoul, South Korea. It's glad to see blockchain technology push traditional financial services to a new high level. DarcMatter is an already working platform that is developing a Blockchain based distributed ledger that is built on the NEM Blockchain. . DarcMatter does benefit from already having a working platform in place. A fintech investimant platform project, linked to NEM blockchain , a good team and great advisor. I think is a good ico. In my opinion this project looks very interesting and promising. Good group of advisors and team, product is allegedly in use. Good user case. The overall concept on NEM blockchain looks impressive with a good team. 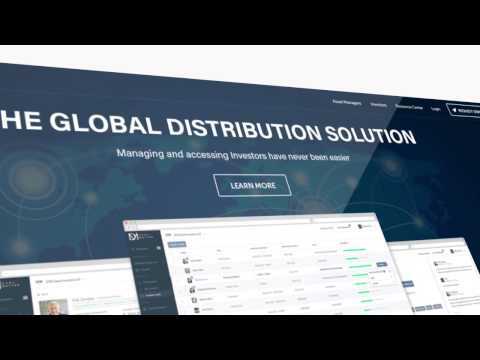 DarcMatter (DMC) is a global platform, that allows investors all around the world to access the alternative fund asset class. DarcMatter is designed, on top of its ALREADY OPERATIONAL GLOBAL PLATFORM, an alternative fund marketplace transaction tool powered by smart contracts and the distributed ledger driven by the blockchain. DMC will use systems that run natively on the NEM blockchain and will also benefit from the proof-of-importance (PoI). This method emphasizes how the system ensures all computers in the network form a consensus which a critical factor for the scope of the platform! Good team and a great vision, the product looks awesome, but it was working perfectly fine without blockchain. what are the benefits of the token that aren't possible with the current architecture? The team seems to be very experienced with Top Notch experts in-house and in advisory board. they have worked at or established globally well-known companies; therefore, most of the team knows how to run successful and global business. The vision is very ambitious and really might revolutionize how the investments are done. However, I would like to see the bigger picture of the vision, which is not really elaborated in WhitePaper. As they claim, product is already running, and there are hundreds of people using it. It means that the product really creates value and is accepted by end-users. I find the whitepaper too short (Only 17 pages), and I believe that some parts like Problems/Solution, analysis of competitors could be elaborated more. Talking about social media channels, there are many followers which means that there is real traction and interest from investors. Very positive sign is that they have already raised more than 5M in Private pre-sale. The Alternative Investment Market (AIM) was launched on 19 June 1995 as a sub-exchange market of the London Stock Exchange. The market serves as a mechanism for companies seeking access to capital to realise their growth and innovation potential in different sectors of the economy. The companies listed on the AIM come from a number of different market sectors and from all over the globe. Companies operating in the market sectors of Healthcare, Finance, Oil and Gas, Technology, Industrials, and Consumer Services are the most frequently represented in the AIM. AIM has less onerous regulatory requirements, such as no set requirements for market capitalization or the number of shares issued. AIM stocks present an opportunity for the investor to get in early before the companies reach their full potential. Nowadays, this is an extremely large market, measured in billions of dollars and DarcMatter platform brings these investment options into one transparent platform that connects investors and the investment options. This existing platform is already a successful business, but DarcMatter is now planning to use blockchain technology to improve it further. Using the NEM blockchain, they plan to digitize many of the currently manual processes involved in getting information about funds and investing in them. NEM offers both a private and a public blockchain technology and incorporates a degree of centralization but, at the same time, is far more suited for quick and easy integration with current enterprise-grade technology than Ethereum. NEM is almost like a plug-in system that can be built on top of current technologies to allow for integration with the blockchain technology. DarcMatter is an online investment platform that provides accredited investors with transparent and institutional-level access to alternative investments. DarcMatter is developing a blockchain based on distributed ledger to remove opacity and inefficiencies from the global alternative investment industry. DarcMatter Coin (DMC) will be used for a permissioned blockchain and will be utilized to unlock and to fulfil the smart contracts for the investment completion through the DarcMatter Decentralized Infrastructure. DarkMatter is headquartered in New York City and also has offices in Shanghai and Seoul. The product development team is located in Kiev. DarcMatter has raised $10 million this year from institutional investors, with $5 million already secured and a second tranche currently being marketed. The ICO will go public on March 22 and the company hopes to generate up to $20 million more. There is a clearly defined and understood business model. The WP is readable and well laid out. It is simple but persuasive and professionally written. However, for such a complex and ambitious project it might be surprising to learn that the WP is only 17 pages long. In addition to English, it is offered in the Korean and Chinese languages. The website is certainly colourful, neat and well presented. The ICO, roadmap, team and contacts are easy to navigate. A strong presence on Social Media is usually a good indicator of company’s popularity. The number of participants in the Telegram chat - 14,651 members, Linkedin - 380 followers, Twitter - 6,602 followers, Facebook - 351 followers. These numbers are quite adequate. There is a page on the reddit site. The site presents a professional core team of 5 members and 8 experienced advisors with technical, crypto and financial knowledge. A brief bio is displayed with every photograph and all persons have a link to LinkedIn profiles. All in all I like the idea. I believe that the team will be capable to develop the existing platform and the overall project will be successful. Excellent fintech project, strong team. Let's see what will come out of it. When first watching their video, my immediate concern was that they are entering an extremely crowded, regulated space. However, after reviewing their whitepaper I feel as though they a chance of bringing added value to this space. The team is reassuring as they have a very strong in house team as well as several prominent members on their advisory board. The only reason why they are receiving a 4 in this area is due to the fact the I don't find that the product is extremely ambitious. I also am not a fan of the brand as it seems to seem off with the market their trying to penetrate. This may be a personal opinion but "DarcMatter" seems a little off when trying to represent a brand that stands for decreased fraud, malicious intent and increase transparency. The product itself, seems sound, however I am not a fan of NEM in terms of enterprise scaleability as it does have some fallacies. hopefully they'll consider the switch to hyperledger in the future. Darc Matter – Is providing access to investment funds for anybody and everybody, not just the wealthiest of investors like in the modern day stockmarket based investment portfolios. The industry is rife with inefficiency and out of reach investments, with most interactions between funds and investors still done via paper based record keeping. By moving transactions to the NEM blockchain, Darc Matter enables transparency and ensures an efficient UX at the same time. Darc Matter has been established since 2014 and has an existing business providing cross-border investment opportunities. With current clients including the likes of JP Morgan, Deutsche Bank and other large well known institutions. Their business plan seems focused on integrating the DMC token into the current business model and moving existing clients over to the blockchain. Investors will primarily use The DMC token to initiate and process smart contracts that unlock investment opportunities. Users will be able to run master-nodes that will help process transactions. The Token Sale is already steadily underway at the time of this review with 5 million usd already raised in their pre sale. 50% of the tokens will be sold as part of the ICO. There will be a three year vesting period for the team and seed investors, which proves commitment from the involved parties behind the DMC token. The team in my opinion is suitably qualified within Fintech and well suited for the project. The CEO is Mr Sang Lee, Holding extensive experience in Investment Banking at BNP Paribas. Advisors include Mark Mai, the founder of OkCoin and various other leaders applicable to Fintech. Their social media presence is fairly substantial with approx. 15000 people on Telegram at the beginning of their ICO. The whitepaper is a bit short at 17 pages and could do with being a bit more thorough and could state more analysis of the competitors, however they already have an operating business model which proves professionalism in what they are looking to achieve. With this professionalism comes confidence that the project is well worth the investment for the long term. Tier 1 Private Presale Closed 48 hours after opening of DarcMatter Telegram channel. Opening Tier 2 Private Presale for investments. DarcMatter officially welcomes Sophia Ha Ho, Andrew Duplessie, and The Ceta Network, as key advisors to the DarcMatter project, focusing on Blockchain development, user acquisition, and ICO Marketing.